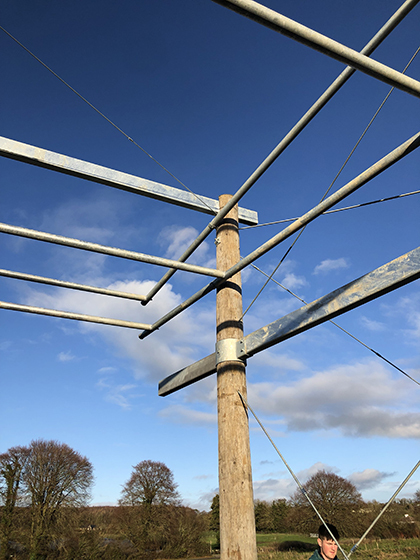 In 2016 I was commissioned by Cloughjordan Arts to design a roof canopy for the stage of the new amphitheatre, located to the north of the eco-village in Cloughjordan, Co. Tipperary. During a visit to Tokyo and Kyoto in 2017, I was inspired by Shinto gates seen at many temples and shrines, leading to the design and materials of the structure. This spring, a coloured sailcloth will be installed over the structure. In addition to the canopy, the design brief required the conversion two adjacent bridge culverts and yard into an entrance complex containing a cafe & ticket stand, artist’s green room and an area for public toilets. Landscaping is in progress.